Totally unacceptable as a full meal. By the time the bread came for the bread plate the 'amuse bouche' was done. The alternative was a beef panini which looked, and smelled, disgusting. 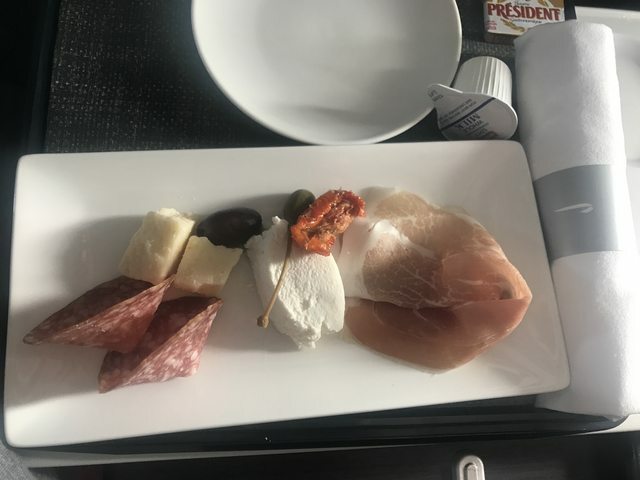 Most of them were sent back and they ran out of the charcuterie plate option. I note also that the lemon scented refreshing wipe is no longer provided either.